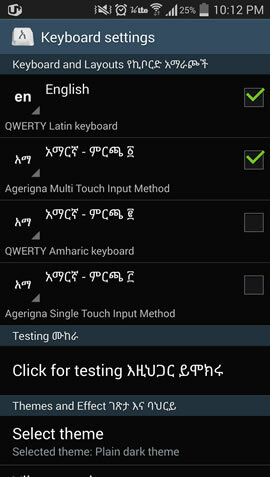 Amharic Input Method for your IPhone and Android device. 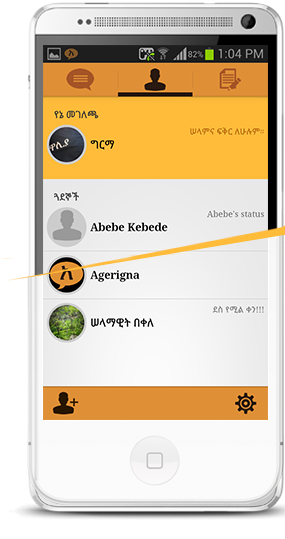 Social networking application that is specially design for Ethiopians. 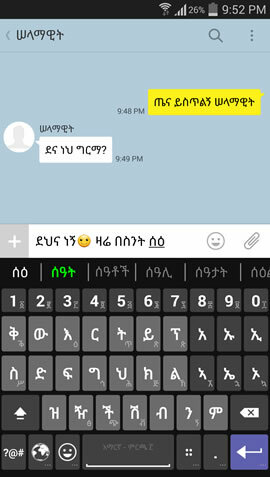 Comes with an embedded Agerigna Amharic keyboard so that you can chat using Amharic. With the user of Agerigna growing everyday, Agerigna is the place to socialize with your friends. Start using Agerigna today! Currently available for Android. iPhone version coming soon! 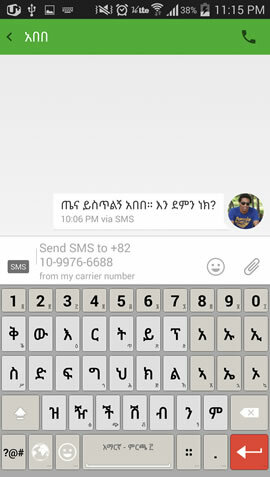 Amharic Keyboard, a standalone app which allows you to email, sms and more in Amharic. 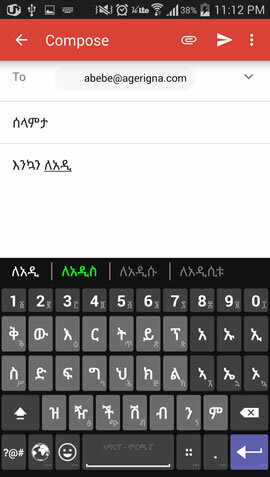 Amharic Input Method enabling you to type in geez (Amharic phonetics) right on your IPhone and Android device.